Why have your bathroom remodel completed by a design-build contractor? 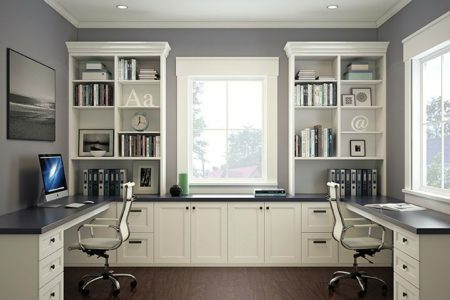 The answer is simple –design-build contractors bring the design, product procurement, and construction phases of the remodeling process together under one roof. This creates an easy, stress-free, and convenient process for the homeowner, and produces better results, too. The design-build contractor that homeowners in Scottsdale, Arizona, and the surrounding areas have turned to since 1994 is Premier Kitchen & Bath. With decades’ worth of industry experience, we have accumulated a wealth of knowledge and talent that we use to complete beautiful, functional bathroom remodel projects for our customers. Discovery – During the discovery phase, one of our designers will get to know your preference for aesthetics and functionality. Design and planning – At the conclusion of the design and planning phase, you will be presented with several design concepts for your bathroom remodel, product samples, and 3D renderings that will bring our designs to life. Refine – We will meet with you as necessary to ensure that all the details of your project are being met. Build – Construction is led by an experienced project manager, who will keep you informed about progress before and during your remodel. 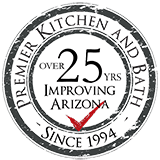 If you would like to have a bathroom remodel completed at your home, contact Premier Kitchen & Bath today. We proudly serve homeowners in Scottsdale, AZ, and neighboring communities.